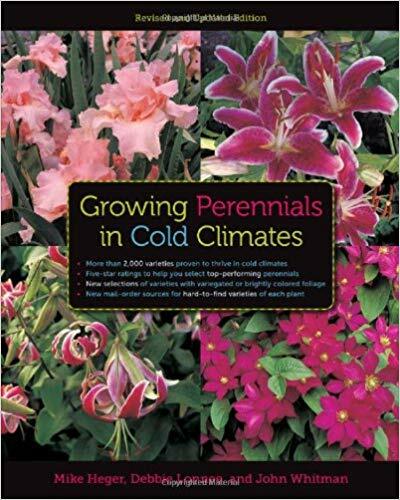 For many northern gardeners, the 1998 edition of Growing Perennials in Cold Climates has been the go-to reference for which plants to grow and how to care for them for more than a decade. That edition is still valuable, but for die-hard plant lovers, this revision and update is well worth the nearly $40 it costs. As I noted in a review of the book in the November/December issue of Northern Gardener, this edition has all the virtues of the original plus expanded plant lists and a rating system that helps gardeners choose among the dozens of plant cultivars that have been introduced in the past 13 years. Like the previous edition, the revised book includes basic information on how to plant and maintain perennials. The bulk of the book is a perennial-by-perennial assessment of plants that are hardy to the North. What is most valuable are the long lists of cultivars of each variety and the authors’ five-star rating system, which gives gardeners vital information of which among the new plants are keepers and which are just good-lookers in the spring catalogs. For plant types with dozens (daylilies, hostas, coneflowers) of cultivars, the ratings will help home gardeners pick through the hype. The authors are all respected plant-people with years of experience in northern climates. Heger owns the Ambergate Gardens nursery in Chaska; Whitman is a long-time garden writer and photographer; and Lonnee is a horticulturist who works with plants introduced by Minnesota-based wholesaler Bailey Nurseries Inc. In other words, these guys know their plants. Growing Perennials in Cold Climates is first and foremost a reference, and it is one you will find yourself reaching for again and again as you plan and care for your perennial gardens. « Book Review: Put ’em Up!